Michael Feuer’s sit-down with It Business Edge writer Don Tennant continues to gain speed. Feuer, author of the book, “The Benevolent Dictator: Empower Your Employees, Build Your Business and Outwit the Competition,” has, once and for all, debunked the myth that the best leaders are consensus builders. Find out the best tips in this slideshow. 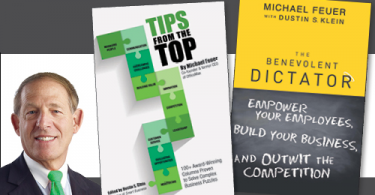 Michael Feuer’s sit-down with It Business Edge writer Don Tennant continues to gain speed. Feuer, author of the book, “The Benevolent Dictator: Empower Your Employees, Build Your Business and Outwit the Competition,” has, once and for all, debunked the myth that the best leaders are consensus builders. 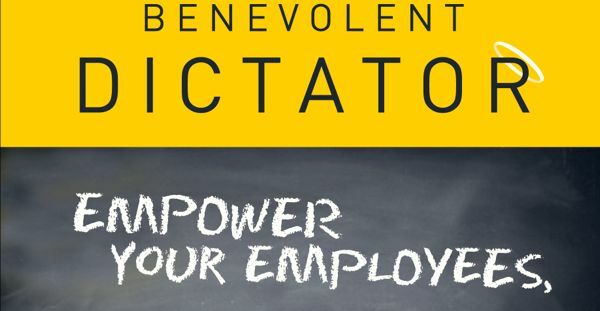 In this slideshow, learn Feuer’s best tips for desion making….Benevolent Dictator-style. Interview: Do you break the innovation chokehold?